The Battle of Midway is considered by many to be the most important naval battle of the Pacific Campaign during World War 2. The battle occurred between June 4th and 7th, 1942 approximately six months after the Japanese surprise attack against Pearl Harbor. During the battle, the U.S. Navy would decisively defeat the Imperial Navy and more importantly, inflict damage to the point the Japanese fleet would not recover from during the war. 1 Why Did the Battle of Midway Occur? Why Did the Battle of Midway Occur? The Japanese Navy sought to take the United States out of the picture in the Pacific Theater of operations at Midway. Similar to their earlier attack on Pearl Harbor, an additional defeat at Midway would give Japan free reign to establish their Greater East Asia Co-Prosperity Sphere and it was thought that another defeat would make the U.S. seek peace. The Japanese navy’s plan was to lure the United States’ aircraft carriers into a trap so that they could be eliminated since they CV force was underway during the attack on Pearl Harbor. Additionally, the Japanese intended on occupying Midway as part of their overall plan to extend the defensive perimeter after the Doolittle Raid on Japan and was also a preparatory attack before taking Fiji and Samoa. Unknown to the Japanese planners, however, was that U.S. cryptologists were able to assess the date and location of the Midway attack. This ensured the U.S. Navy was able to plan an ambush of their own at midway making the initial Japanese planning assumptions of poor combat dispositions and U.S. reactions null. Support Ships and Small Craft: PT-20, PT-21, PT-22, PT-24, PT-25, PT-26, PT-27, PT-28,(at Midway Atoll), PT-29, PT-30 , Thornton, Ballard, Kakoli, Crystal, and Vireo. The Japanese incorrectly thought the USS Yorktown had been sunk at the Battle for Coral Sea. Although damaged, the Yorktown was inport Pearl Harbor and U.S. Admiral Nimitz directed temporary repairs be affected to the ship to allow her to fight at Midway. At the time, she was assessed as needing several months of repairs, but was gotten underway after 72 hours of round-the-clock repairs. This would effectively give Nimitz three carriers to go with the Enterprise and Hornet that were placed under the command of Rear Admiral Raymond A. Spruance who took the place of Vice Admiral Halsey who would down with psoriasis. Other preparations included the U.S. Army Air Forces stationing four squadrons of B-17 Flying Fortresses on Midway along with a number of B-26 Marauders. 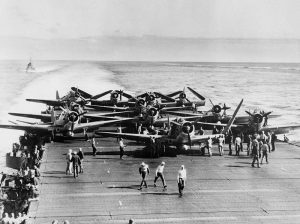 The USMC also had 7 F4F-3 Wildcats, 19 Dauntlesses, 18 Vindicators, 21 F2A-3s, and 6 TBF-1 Avengers on the island available to contribute to the upcoming fight. The first attack of the Battle of Midway occurred on June 4th when four, PBYs flying at night attacked the Japanese transport ships northwest of Midway. One of the PBYs was able to torpedo the Japanese fleet tanker, Akebono Maru. 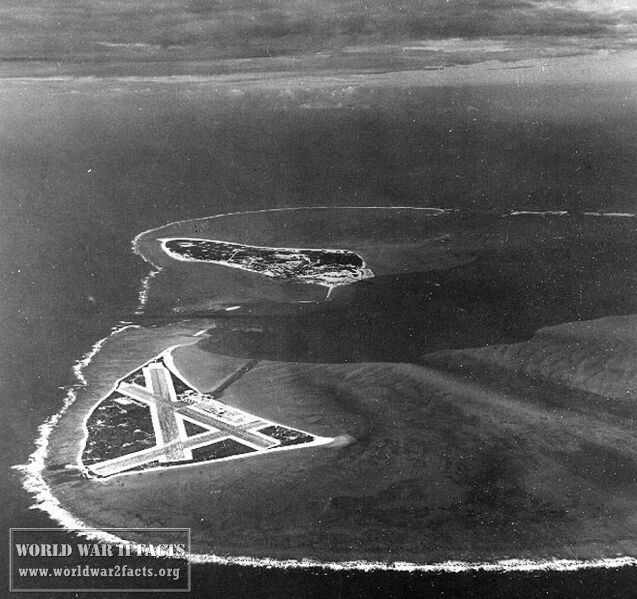 At 0630 that morning, the Japanese launch a large number of carrier bombers and torpedo planes supported by fighters to attack Midway Island itself. 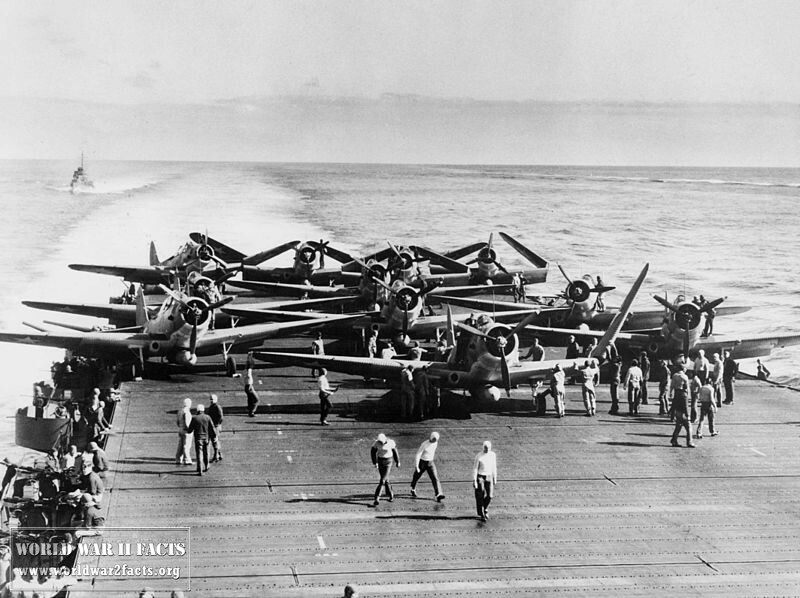 Despite the strength of the attack, there was not significant damage suffered at the shore facilities on Midway in this initial wave, however, they did lose 17 of 26 aircraft that were flow to oppose the attackers. Following this attack, the Japanese Zeros would go on to repeatedly repulse the attacks from the U.S. aircraft based on Midway that would include the gambit of available air frames. The B-17’s would also attempt without success to attack the Japanese fleet, but did manage to avoid losing an aircraft. Then, between 0930 and 1030 local, American Douglas torpedo bombers from VT 3, VT 6, and VT 8 attacked the Japanese carriers. Although they were almost all shot down, by pulling these fighters away from the main body, bombers from the Enterprise, VB-6 and VS-6 were able to bomb and fatally damage the Akagi and Kaga carriers. VB-3 bombers from Yorktown were then able to bomb and totally wreck Japanese carrier Soryu. The Nautilus, SS-168, attempted to get in the action with a torpedo strike against Kaga, but the torpedoes failed to explode on impact with the damaged carrier. 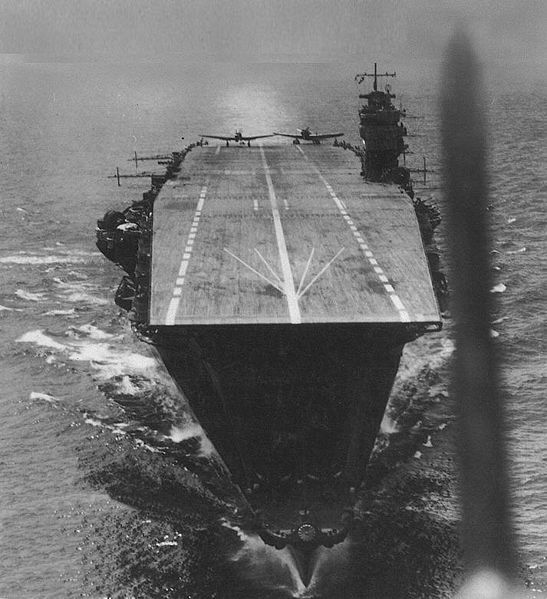 Later that morning, the Japanese carrier Hiryu launched dive bombers against Yorktown that resulted in the carrier being disabled. They struck a second blow against the carrier later in the afternoon resulting in the carrier having to be abandoned. The Americans counter-attacked, however, and the dive bombers from Enterprise mortally wounded the Hiryu at approximately 1700 that afternoon forcing Admiral Yamamoto to abandon the Japanese Midway invasion plans. The final air attacks of the battle occurred on June 6th when dive bombers from the Hornet and Enterprise sank the Japanese heavy cruise Mikuma and damaged destroyers Arashio and Asashio as well as the cruiser Mogami. On the same day, the Japanese submarine I-168 torpedoed the Yorktown while it was being salvaged and sank the USS Hammann (DD-412). The Yorktown finally sank on June 7th. The Battle of Midway resulted in the U.S. Navy inflicting a huge defeat on the Japanese navy. The Imperial Navy lost the four large aircraft carriers that had been used in the attack on Pearl Harbor, while the Americans had only lost one. More importantly, the Japanese lost more than 100 trained pilots that would later prove irreplaceable later in the war. The defeat at Midway derailed the Japanese offensive in the Pacific and prevented them from following their plans to take New Caledonia, Fiji, and Samoa next in the war. Shortly after the Battle of Midway, the U.S. and other Allied Powers fighting in the theater of war would start the offensive against Japan. The Course to Midway, A comprehensive overview created by Bill Spencer and hosted by the United States Navy's website. Battle of Midway, 4-7 June 1942, by the Naval Historical Center. Welcome to WorldWar2Facts.org Battle of Midway Quiz! Please take your time and pick the most correct answer of the options provided. 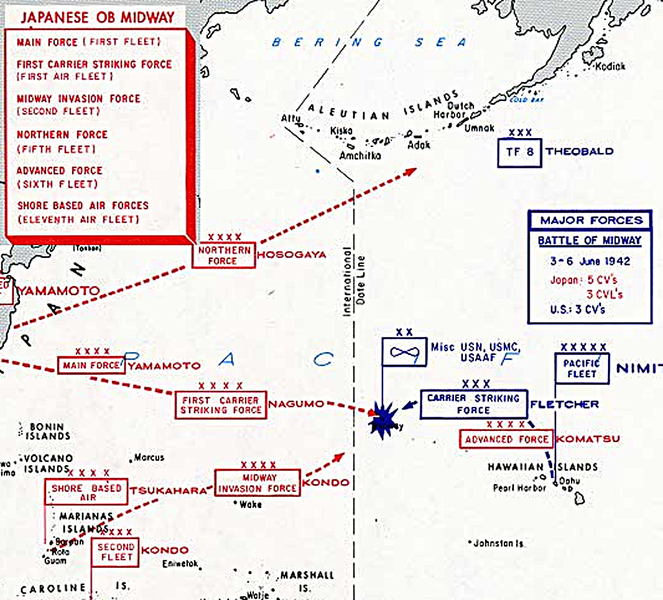 For the Battle of Midway, the Japanese planned a diversion with an invasion. Where was the invasion? What was the main reason the Japanese targeted Midway? The Japanese were trying to steal American food. The Japanese were down to one division of infantrymen left to fight the war. The Japanese wanted to extend their perimeter in the Pacific area of operation. They had no excess capacity to wage war left. In early 1942, the Americans had broken the Japanese Naval Code. They knew something was amiss, because a specific identifier was appearing in many messages which was shorthand for Midway Island. What was the identifier for Midway? USS Enterprise and USS Hornet were Navy aircraft carriers used during the Battle of Midway. What was the Navy's third carrier? How far are the Midway Islands from the Hawaiian Islands? The Imperial General Headquarters issued what special command to Admiral Yamamoto to proceed with the capture of Midway Island and the invasion of Alaska? The Marine Air Group on Midway had 54 aircraft at their disposal. Which of the following type of aircraft made up the majority of the aircraft? Prior to Midway, what was the previous surprise attack launched on America by Japan? Prior to the battle, one key element of the Japanese battle plan failed to be executed properly. This specific failure proved disastrous for the outcome of the Japanese battle plan. Japanese oil tankers failed to meet up with the fleet in time. Japanese spies or secret agents in Hawaii were arrested / captured. Japanese submarine shield was deployed late. True or False: The Japanese lost the battle of Midway? Neither, the battle was a tie. Isoroku Yamamoto was the commander of the Japanese fleet on the attack of the Midway Atoll. Who commanded the American forces? 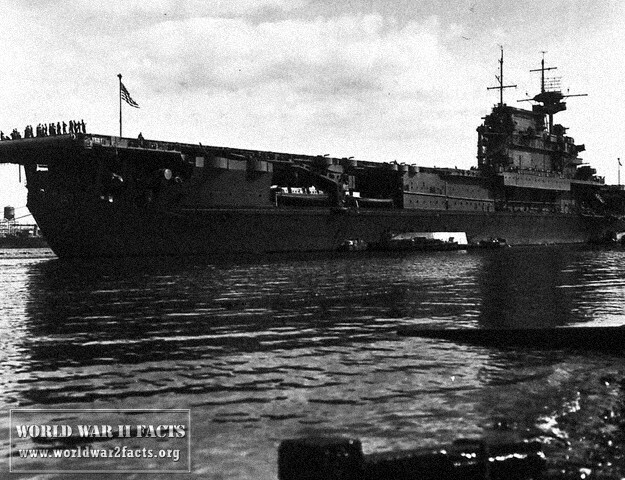 The Japanese had four aircraft carriers at Midway. All four ships were attacked by American dive bombers and torpedo planes. This ship's commander, Captain Okada was killed by a bomb blast, but how did the ship actually sink?